RPB3.0-2P	 Two-ply Impact, 3" width x 100' length. 1st copy is white, 2nd copy is yellow. Single roll. 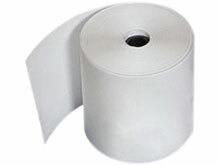 Minimum order qty: 6 rolls. The AirTrack RPB3.0-2P is also known as Air Track	RPB3.0-2P	or RPB3.02P	.